This is the final post of our page speed improvement series. Today’s post will discuss content delivery networks vs dedicated hosting servers. For high-loaded websites, CDN or Content Delivery Network and dedicated servers are normally used. In this post, I’ll go through both servers and compare their advantages and disadvantages, their variations and a few tips on which one to choose between the two hosting options. CDN works by serving content to end-users with high performance and high accessibility. The networks of CDN serve most all web contents such as videos, text, and URLs. How will CDN help with your website? Through CDN service, there are a lot of internet nodes being designed to share web contents. So after browsing your website, it will then send data from the closest data centre to the users. In this manner, CDN helps in reducing the latency or failure that is due to networks, web server, etc. Various CDN’s utilize P2P technology in caching files to produce top performance. Since CDN is already ideal, why should we need dedicated server? What are CDN’s weaknesses compared to the traditional dedicated server? Well, read on. Rationally, CDN can guarantee 100% uptime because it is being served by numerous servers; but, it is also possible to have slowness due to the configuration of the network. Using dedicated server, the performance will depend on data centre network and server hardware configuration. Since there is a dedicated bandwidth allocation, there will not be too much latency present. For many CDN service, security poses the biggest concern. Since it’s going to send data from your website to various locations or servers, it is difficult to have everything protected particularly when it pertains to sensitive information on the website. Then again, a dedicated server is going to offer maximum security to any data since everything is being kept on one device. Provided that the single server is properly secured, data leaks are not possible. Today, you can find a lot of CDN service providers on the market but, there is a huge difference in their service quality. A CDN can be built through 3 or 30 nodes. A good CDN service provider has data centres on various places such as Microsoft Azure, but it is not possible for many CDN service providers as they just have a few servers from various DCs and don’t have much access to the network material. A dedicated server is completely controlled by a team with complete access to different configurations, has control over resource allocation and security protection and updates. If issues do happen, the CDN support will examine each node to get it fixed, and the process may take quite a while depending on the complicacy. A dedicated server is supported by the dedicated server service provider, given that the server is still up and they can access it. Means, unless it’s a MUST, they don’t have to bother your server provider for problem fixing. When should you choose CDN or dedicated server? Ideally, a good dedicated server is more costly compared to CDN services; particularly there are CDN providers such as MaxCDN which are only about $120 per year. On the comparison mentioned above, we have learned that a dedicated server is in fact much better than CDN when it comes to performance since it’s driven by the dedicated resource. So it all comes down to how much you’re willing to spend. We’ve found for our clients websites and ours, the results in page speed improvements have been great despite having a shared hosting account with a CDN in place. This is the fifth post in our series of SEO and page speed best practices. Today’s post will educate you on the differences between hosting the types of web hosting accounts. and how they affect how quickly your website loads. With various hosting types available, choosing the perfect fit for your website can be tough. Do you want a shared hosting, Dedicated Server, or a Virtual Private Server (VPS)? This article will tackle about the advantages and disadvantages of these hosting services so you can make an informed decision on which is best for you. Shared account is a basic web hosting account and used by millions of websites around the world. The shared account is perfect for sites with less traffic because they are inexpensive as compared to the VPS and Dedicated Server. Here’s a scenario to enlighten you. Shared hosting account is like renting a room in a dormitory. You have your own private space; however, you share the facilities such as the bathroom, kitchen, and living room with the other tenants. With shared hosting, your private room is your home directory – nobody is allowed to invade your home directory other than you. That space is solely yours. But, you share major server resources like RAM (memory), software packages, CPU, and network connectivity with other websites. Same with renting a room in a dormitory with others, you are subject to each other’s doings in the server. Since you share the main resources, there may be times when two people will compete with the same resource all at once. Here’s another scenario – two people are using the toilet and you badly need to use it. Although there are automated scripts already in place to ensure that people are not hogging the virtual restroom, there are instances when two processes need the same resource simultaneously. From time to time, the second individual must wait for a moment – however, in computer terms, a “moment” is normally in a matter of microseconds, instead of hours. Less capacity to modify. The same with landlords that implement rules, shared servers also have rules on what “tenants” are permitted and not permitted to do. Many individual starting with small online stores or blogs start with shared account. If you’re not sold out with shared hosting, then a VPS can be your next option. A VPS is somehow the same as shared account in a sense that few resources of the parent server are being shared by the child servers. However, before we delve into that. Here’s a scenario for this option: A VPS is the same as renting an apartment. Different from renting a room on a dormitory and sharing most of the facilities, renting an apartment provides an individual space with more freedom. You have your own bathroom, kitchen, and living room that are only for your usage. In a VPS setting, these are the RAM, disk space, and operating system. But, you still need to share a few resources with the rest of the building, which is the parent server, electricity and the water system, which is the network. There are a few resources being shared with other customers on the server, so there are struggles with memory or server load. A Dedicated server is a physical server with hardware that you can use exclusively. Here’s a scenario: A Dedicated Server is similar to owning a house. From small cabins to the most elegant houses, it is really good to have something that is yours. Your hardware has no other customer, and nobody is competing for your resources too. It is exclusive to you. Your server is located in a datacenter, same as with your neighbourhood. If a fuse is blown from 3 houses away, it will not affect; but if the transformer of your neighborhood is blown then your house will be affected – if something occurs in your datacenter, which affects the network connectivity (a rare occurrence) everybody is affected. However, for problems that are specific to the server, your server is not affected by the things happening around you. Regardless of the type of hosting service you opt for, your site will be located on a server. If visitors visit your page, the CPU and Memory of the server will work collectively to provide the visitors with the pages they want. Sometimes, there are instances that your website may utilize excessive CPU or Memory to serve a lot of pages, and that will be the perfect timing to improve and upgrade your account. A Growing Family: When your family is growing, and your apartment can’t handle it, then it’s a perfect time to move. For instance, you may have need of an extra bedroom or bathroom for your children. Moving into a condo can provide you with that extra space. In Shared Hosting, if your site is fast becoming popular, you may have to upgrade to VPS Hosting so your account will have more CPU and Memory. This will let you handle all of the new incoming traffic on your website. Customizations: If you like green and want your walls to be painted green, you may not be able to paint your walls with your favourite color if you’re in an apartment. Moving to a condo provides you with more ownership of your space, which lets you paint and decorate your space with whatever you like. If you need a software that’s not found in Shared Hosting, then upgrading to VPS hosting will have the power to install any software that you desire. Continuing with the condo analogy, you are given a lot of control; however, you do not have total control. If you are to invite a crew to play in your home, others within the community will hear the ruckus and may complain. If your relative or friend moves with you, you may not be able to add another room to accommodate them. There are a lot of good reasons that living in a condo was great for you during a certain stage in your life; however, your family is growing. You may think of purchasing a family house where there is a lot of parking space, extra bedrooms, and a huge lawn for you to play with your pet. For mid-sized businesses, VPS Servers are perfect. You will have a virtualized private server where you can create and tweak what you need. You may able to host a limitless number of sizes, and there are no limitations aside from the usage of the CPU and memory of your server. The server of a VPS isn’t a dedicated server, so that means that you’re still on a server with another user. Since you are sharing a server, other users can still be affected by your actions. If your website is busy, controlling most of the CPU time and memory of the server may cause performance problems for other users of the server. And if you’re using an unoptimized script and is running out of control, it will mess up your site and the whole server. This may cause downtime for other users of the same server. With the things mentioned above, you now know the various advantages and disadvantages of different type of hosting. We hope that through this article, you have grasped their distinctions. It is up to you to choose what type depending on your needs. If you intend to create a big blogging platform that lets hundreds of people visiting each month, you may have to consider dedicated hosting or cloud hosting because of the needs that you will face. These servers will be faster and help load your website as quickly as possible. But, if you are starting with something small, why pay for a lot for what you don’t need? Go for shared hosting or VPS hosting and save a small amount of money. People who visit websites prefer web pages that load quickly. According to experiments by Google, a slight delay, even just hundred milliseconds, can create a negative impact. But, what does “page speed” certainly mean? Today, in this six-chapter detailed speed optimization guide, I will tackle about page speed and explore why a quick loading page is vital. Numerous benchmarks and research papers have proven that improving the speed of your website is one of the highest ROI and most inexpensive investments. Fast page speed is important for a lot of reasons. First is to provide first-rate user experience. If your website has a better user experience, then the chances are visitors will spend more time on your website thus the chance of buying from you increases. Another reason to augment the loading speed is for good search engine ranking. Effective April 2010, a website’s search engine ranking is based on its upload times. In short – if all other aspects are the same – fast websites have a higher ranking compared to slow websites. So if you have a slower site – what can you do to improve it? I will provide you valuable tips that you can implement right away. Google engineers have found out that the hardly visible page load time is about 0.4 seconds is sufficient enough to make users search less. Nowadays, online businesses have all the available resources that they need to provide content in an instant, however, to control and balance these resources; they will require a website that is speed-optimized that provides the finest user experience. One out of four visitors will leave a website loading takes more than 4 seconds. About 46% of users don’t return to websites that are performing poorly. Owners of the website have about 5 seconds to accommodate visitors before they think of abandoning the site. A 1-second delay in loading time could result to $1.6 billion in yearly losses for many online businesses like Amazon. About 47% of online customers expect less than 2 seconds of page load time before they consider leaving – 40% will abandon the website if they are waiting at the third second, long before a performance analytics tool detects their presence in the website. Two seconds is the average peak loading time for conversion – which is faster that many websites around the world. The occipital lobe of the brain can store visual info in the form of sensory memory in the speed of 100 milliseconds. According to Goggle researchers that a loading time that’s less than 100 milliseconds provides visitors the impression of an instant site reaction the same with how the visual sensory memory processor of the brain functions in surges of 100 milliseconds. The memory store is emptied after 0.1 seconds as the photoreceptor cells found in the eyes convey more info going to the occipital lobe. To maintain a continuous flow of thought, a 1 second loading time for a page is sufficient enough – users will feel more in control during their browsing activities, and the mental strain isn’t intensified except if the website doesn’t respond as intended. Visitors will barely stay if there is a 10-second delay. Visitors will feel impatient, frustrated and feel abandoned if there is a delay and they will tend to stop going back to such sluggish websites again. How a website performs is always important. A website that performs well improves user experience enormously. This will result in visitors returning to your site, staying for a long amount of time and converting. A well-performing website can be typically seen high in the search results due to the fact that the indexer is experiencing minimal issues with it. And, mobile devices are becoming more vital today that a site can’t manage to perform at a slow rate and without the right improvements. A lot of businesses don’t think that their website has to be optimized during its development. They only think that it needs optimizing after their website is live and they don’t get the desired organic traffic. By that time, the website will be so intricate that a systematic optimization will need them to essentially start all over. It is ideal to have websites optimized while it’s in the development stage. This will help save time and resources. Cheap web hosting service is only cheap at first. With millions of websites, the space for web hosting is crowded enough. Ordinary web hosting services offer cheap services at the same time compromising quality. They are able to do this by hosting a number of sites on a single server. This approach slows down web pages a lot that the revenue loss is greater than the reduction cost. Do you want to have a website that’s well-designed? Just remember, add-ons that sometimes come in as widgets or plugins can weigh on the performance of your website. The addition of a widget can add a 2-second loading time to your page. And, plugins that stream huge date to do difficult operations can greatly affect your site. In the end, these add-ons can even lessen the web page’s functionality. Advertisements can slow things down. Your page is going to load a lot of stuff from the web to show it to your visitors, so make sure not to overdo it. If you try to make profits in this manner, it may cost you more. Attractive and fine-looking themes may come at a price. Using images with high-resolution may make your site look great. However, it may significantly slow it down. Website owners and developers may be tempted such endeavor and often makes sense. But usually, they end up costing bandwidth and make you lose clients. Almost everyone today is using mobile devices, and it’s imperative that your site must be mobile device friendly. Sites that aren’t optimized for mobile device users normally experience from problems such as videos that are non-playable, bloated graphics and inappropriate cross-linking. Furthermore, Google has recently defined that to lower the PageRank of sites without mobile optimizations. And that is something to consider for website owners. Though the issues mentioned above are very obvious, I have witnessed numerous sites experiencing the same issues and problems. Vital factors such as site speed, design, and usability suffer due to time or money matters. So it’s very important to begin with the basics and do some research. 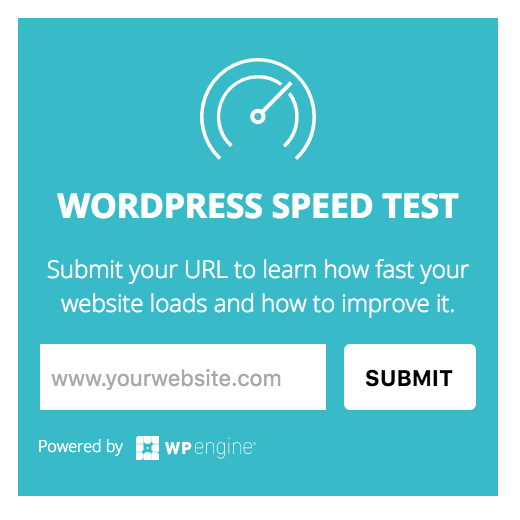 Test your website speed to see how it performs. If it’s loading too slow, improve your websites speed. Do not neglect the idea of optimizing website load speed. In today’s digital world, so you can be successful, you must deliver in a fast manner. Visitors will not stay long; you have just a few seconds to catch their attention. So begin optimizing the speed of your website now and you can reap the benefits anytime soon. My next post will be on the difference between hosting accounts and what server you choose is important to website load speed. Page speed can sometimes be confused as “site speed”. These two are totally different. Page speed is, in fact, the speed of the page for a sample page views on a site. It can be either defined as “page load”, which is the amount of time it will take to show the content of a specific page completely or “time to first byte”, which is the amount of time for your browser to obtain the first byte of information from the web server. It doesn’t matter how you measure the speed; the point is, a fast page speed is better and more convenient for the users. In fact, fast pages have better ranking and conversion percentage. SEO is a difficult subject, particularly if you take into consideration all the information and misinformation that’s been roaming online. Regrettably, it is sometimes difficult to tell from one another. Is the most recent strategy you’re reading effective? Does the strategy work on all the web pages? And so on. Indeed, there are a lot to assess when it comes to the effective SEO practices for page speed. Just accept the fact, SEO is tricky. But the good thing is, it doesn’t have to be that stressful. 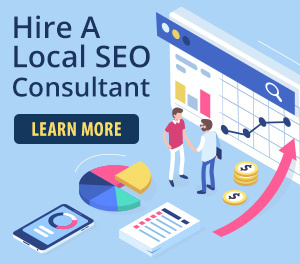 If you allocate sufficient time to learn about it, then you will be able to differentiate information from misinformation more easily, and also, you will have the means to go deeper in the advanced concepts of SEO. SEO isn’t a set it and forget scheme. It is a continuous process. You work on it, quantify results and constantly improve it. Google has designated site speed as among the signals utilized by its algorithm in ranking pages. As a matter of fact, studies revealed that Google may have been measuring time to the first byte when considering page speed. Moreover, a page that has slow speed will mean that its search engines are crawling fewer pages using their allotted crawl budget and as a result can adversely upset your indexation. Page speed is imperative for user experience. Pages that are slow loading have a tendency to have high bounce rate and lesser average time on page. Pages that have longer loading times have been shown to adversely lower conversions. You need to ensure that the size of the image is not so huge. For example, if an image you are planning to upload is 2,000 pixels wide, but your post will only allow you 600 pixels of space to fill your blog, then it’s smart that you change the size of the picture. This will help your page not to load for a long time because of large image size. TIP: Make sure that the pictures aren’t big as they have to be, they have the appropriate format (PNGs are typically much better for visuals with less than 16 colors while JPEGs are normally superior for pictures) and that the images are compressed. You can utilize CSS sprites to make a template for images that you normally use on your websites such as icons and buttons. CSS sprites work by combining your images making it one big image that loads everything at the same time (which results in fewer HTTP requests) and then is showed in sections that you want to display. This results in less loading time by not letting users wait for numerous images to load. Since you are optimizing images, you must also ensure that you should focus is in the Alt Area. Bots that are crawling into your web page doesn’t see the picture as human onlookers do. But, the Alt texts that you enter can be seen by these bots. Therefore, make sure that you write information that is related to the post and the picture. Valid HTML also need to have alt tags. Compression allows your web server to offer reduced file sizes that can load much faster for the users. Compression with Gzip for CSS and HTML files normally saves about 50-70% of the file size. This results in reduced loading speed for your pages and lesser bandwidth used. Gzip should not be used on image files. As an alternative, compress these files using a program such as Photoshop where you can maintain control on the image quality. Server response time pertains to the response time of a web server to a request from a particular browser. It doesn’t matter how ready your web pages are for speed, if you have a slow server response time, your pages will display slowly. Website Traffic – More traffic, more problems. Website Resource Usage – If every web page you have uses few resources, server response time could improve and at the same time spend less money. Web Server Software – If your planning to change the web server configuration or software, server response time can also improve and you can spend less money. Web Hosting – Your server response time can also be improved by improving the quality and scope of your web hosting; however, you will need to spend money on doing this. Redirects are methods or directions that design take visitors from one file location to another. There are a lot of good reasons for having redirects; however, it is important to remember that redirects can result in problems in speed and performance. Each redirect you can eliminate or clean can help make your page load much faster. CDNs or Contact Delivery Networks are a system of servers spread all over the world to deliver web pages and other content centered on the geographical location of the user. As a result, huge volumes of content are easily delivered without any disruptions. For example, if you have a website that’s in Ontario, people accessing its pages in Alberta are going to receive the web content much faster as compared to people accessing it from Japan. The distant the person is in accessing the page, the longer the loading time. This can be terrifying for the user. However, having your website loaded from numerous servers and numerous locations is good for SEO as it speeds up the load time of the web pages. CDNs give businesses the chance to spread out to numerous web users anywhere around the world in a few seconds. Being able to present your company up front to a lot of people rapidly must be your topmost concern. So now that we have listed the best practices for page speed, our next blog post will talk about reasons why your website is loading slow. Stay tuned for that. Read the previous SEO page speed posts as well to get up to date.